Reliable car rental services is one of the largest acr rental services in India. It spread over 250 cities in India. We reliable cars rental offers you a variety of options as per requirement. We have pick-up and drop-off options in a variety of ways. We provide the best car rental deals by giving affordable rates on car rental. We always giving the best to our customers and maintain a good relationship with them. So whenever they wanted to book a cab they will confidently book our cab only. Booking car rental will make your journey convenient and safer. We mainly focus on giving the best value to your money always. For us, road trip is always an thrilling thing to experience India. As we have well trained and skilled chauffeurs who makes your journey safe and convenient, you will get a great travelling experience. We provide cars according to budget of the tourists. We provide Tavera AC, Tata Indigo, Tata Indica, etc. For the luxurious journey, we provide cars like Mahindra Xylo AC, Toyota etios, Mahindra Xylo, etc. Delhi is a city where ancient and modern blend come together. Modern Delhi has a lot more to offer. Delhi has a modern, well-planned and extensive Metro network that connects all corners of Delhi; this network is still growing. It is world’s second largest urban area. It is a place that not only touches your pulse but even fastens it to a frenetic speed. Home to millions of dreams, the city takes on unprecedented responsibilities of realizing dreams bringing people closer and inspiring their thoughts. Delhi showcases an ancient culture and a rapidly modernising city. There is much to discover here. All this is combined with the best features of a modern city such as a metro system, bustling markets and fabulous eating places. These things to do in Delhi will give you a very different and unique experience of the city! Khari Baoli Road in Old Delhi is the biggest wholesale spice market in Asia. Spices are what connected India to the West, and its been in business since the 17th century! However, Gadodia Market (which is on the south side of Khari Baoli and is where many of the spice shops are) was built in the 1920s by a wealthy local merchant. Youll get to see huge sacks of spices being transported and sold. As fascinating as it is, the spice market is also super congested and youre likely to feel overwhelmed trying to navigate through its interior alleyways by yourself. Do note that the market is closed on Sundays. Kinari Bazaar, youll find a tranquil lane with nine colorfully painted Jain havelis (mansions) that were built in the 18th century. This little hamlet is complete with an exquisitely-carved white marble Jain temple at the end of the lane. Its interiors have some magnificent murals and paintings. Hazrat Nizamuddin Dargah, the resting place of one of the worlds most famous Sufi saints, Nizamuddin Auliya, attracts Sufi devotees from across the world. On Thursday evenings, its courtyard erupts with the soulful sound of live qawwalis (Sufi devotional songs) accompanied by traditional Indian instruments, which serenade the audience into a trance. One of the families that perform the qawwalis has been singing there for hundreds of years. The Changing of Guard ceremony at Rashtrapati Bhavan is one of many similar ceremonies that take place around the world (the most famous one is at Londons Buckingham Palace). It happens on the forecourt of the Presidential residence every Saturday morning, where theres space for 200 guests. An equestrian display by the Presidents Body Guard, on horseback in their ceremonial regalia, has also been added. Since access to Rashtrapati Bhavan is generally restricted, the ceremony provides a fantastic opportunity to see the architecture of this immense building, once the centerpiece of New Dehli. Underneath the Shadipur Depot bridge in west Delhi, theres a slum called Kathputli Colony. Its home to around 800 folk artists, many of whom have represented India at shows abroad. Magicians, acrobats, mime artists, puppeteers, jugglers, folk singers, and traditional dancers are just some of the performers who live in the colony. Unfortunately, there are people living in sub-standard conditions in Delhi. However, its not as depressing as youd expect it to be. Its possible to go on a walking tour of a slum in Delhi to gain a greater understanding of how people live there. Youll get to visit thriving small-scale industry, a temple, a family home, and a school. The tour is designed to be inspiring and educational in nature, and a large percentage of the proceeds are used for the betterment of the community. Meet like-minded travelers, discover new travel ideas, exchange travel stories, read and buy travel books, and use the free Wireless internet while you enjoy snacks (and pay only what you want for the coffee and biscuits). Regular interactive talks and workshops are also held by travelers, photographers, and writers. Musicians sometimes have casual jam sessions too. Kunzum Travel Cafe is located at T-49, Ground Floor, Hauz Khas Village, south Delhi. The little-known Crafts Museum is a relaxing place to wander around and see artisans demonstrate traditional embroidery, weaving, carving and pottery. There are also galleries with more than 20,000 exhibits of handicrafts from all over India, a lovely cafe where you can dine, and handicraft stalls that sell items at reasonable prices. The Crafts Museum is located at Pragati Maidan on Bhairon Road. Its open daily, except Mondays, from 10 a.m. until 6 p.m. Entrance is free. Tickets for the galleries cost 150 rupees for foreigners and 10 rupees for Indians. Khanna Market and Meharchand Market in south Delhis Lodhi Colony. International and local artists have painted more than 20 wall murals, facilitated by This non-profit organization aims to make art accessible to a wider audience in public spaces. Atmospheric Gurudwara Bangla Sahib, a prominent Sikh temple near Connaught Place, a great place to relax for a while. It has a huge kitchen where the langar (free food for anyone who wants it) is prepared. Its staffed mostly by volunteers, and you can go in and have a look around or even help out. About 10,000 meals are served per day, which requires a lot of cooking! If you are planning to visit Delhi, then you can find a long list of tourist attraction. Built in 1638, Red Fort symbolizes the era of Mughal rule in India. It is also a UNESCO World Heritage Site. With a view to prevent invaders, the walls of Red Fort were built 33m high from ground level. Sound and light show is conducted here in the evening. Humayun’s Tomb is a monument built by Queen Haji Begum, widow of Humayun. Built in the year 1570, this monument displays the inspiration of Persian architecture. Taj Mahal bears resemblance to this monument. Qutab Minar is the tallest tower in Indian, which was built by Qutub-ud-din Aibak. It has been declared as a UNESCO Heritage Site. It is 73 meter tall brick minaret. Jantar Mantar was one of the five sites built by Maharaja Jai Singh II of Jaipur in 1724. This place consists of 13 architectural astronomy instruments. The main purpose of the instruments was to compile the astronomical tables and to predict the movement and timings of the sun, moon and planets. India Gate was buit in 1931 as a memorial for martyrs of World War I and war in Afghanistan. It is dedicated to the 82,000 soldiers, both Indian and British. Standing at the height of 42 mts in one end of Rajpat stands the India Gate – a symbol of pride and bravery. Bahai Temple is commonly known as Lotus Temple, this temple symbolizes four religions namely Hinduism, Jainism, Buddhism and Islam. The majestic structure made of pure white marble, standing against a lush green landscape. Swaminarayan Akshardham Temple is the world’s largest Hindu temple. This temple has an amazing architecture, a beautiful fountain show, an informative boat ride, a big garden, a food court that offers scrumptious dishes and much more. This is the largest Mosque in India, with a courtyard capable of holding 25,000 devotees. Built by Mughal emperor Shah Jahan between 1644 and 1656 and was inaugurated by an imam from Bukhara, present-day Uzbekistan. Mosque has three great gates, three domes and two 40 m-high minarets. This is the most sacred shrine of Muslim Sufi Saint Nizamuddin Chisti. The graves of Jahan Ara Begum and Inayat Khan are also present here. This dargah was built in 1325, the dome on top of the tomb is decorated by vertical stripes of black marble and is crowned by a lotus-cresting. The Rashtrapati Bhavan is the official residence of the President of India. Formally known as Viceroy of India, this is famous monument of the British Empire. Rashtrapati Bhavan is one of the largest residential houses of any Head of the State in the world in terms of its area, as it cover the area of about 320 acres. Mahatma Gandhi, Father of the Nation was cremated at Rajghat. Raj Ghat area also has memorials of other famous leaders like Pt Jawaharlal Nehru, Lal Bahadur Shastri etc. Visitors from all around the world come here to pay their homage. It is spread over an area of 176-acre, this Park is a home for endangered species. Zoo also has an underground reptile house which houses reptiles like the Gharial, Marsh Crocodile, Indian Cobra, Indian Star Tortoise and the Indian Sand Boa among others. We offer top quality cars that are best for long journeys. We check the condition of each car before sending them to our clients and ensure that their mechanism is perfect.Delhi. We provide cars according to the budget of the tourists. Tavera,Tata Indigo, Tata Indica, Mahindra Xylo AC, Toyota Itios, Mahindra Xylo, etc. Looking for taxi booking whole day when travelling first time in Delhi ? Delhi has been a city of migrants, either for education or for Employment. Traveling has been always tedious in unknown city like delhi. 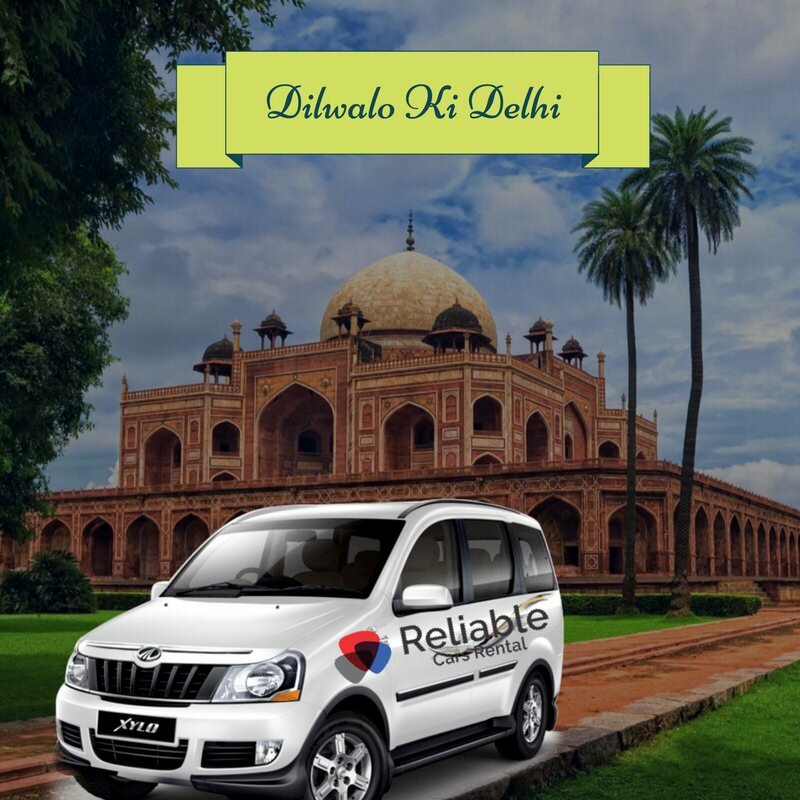 Our cab service provides genuine support for first time travellers in delhi city as well as our staff will be always there to take care of every possible hurdles our cab service customer. Cabs in delhi or drivers can be trusted ? Can we rely our parents, spouse, Ladies on them ? Our cab booking services in delhi takes care of your family, friends on top priority. Security has been always our speciality & 24 x 7 support is always there for any trouble. We hire professionally trained cab drivers and train them as per our policy which makes our car rental services most trusted in industry.